In a bit of poor planning, a robin has set up her nursery right by our front door. 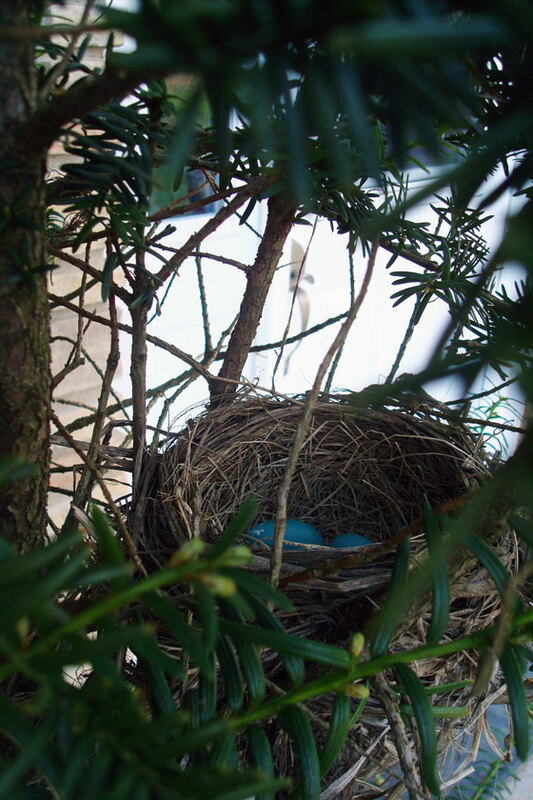 There was already a nest in the yew bush, but it was a bit rundown. We didn’t notice it was being rebuilt until the eggs showed up. Actually, we didn’t notice the eggs either. We noticed the robin exploding from the nest every time we used the door. The last time we had robins outside the door, it was the back one. It was relatively easy to avoid mama and the nest and the babies. The front door is a little more challenging. She sat for a few days, and we managed a couple of entries and exits without spooking her, but we haven’t seen her in a little while, and I think she might have given up on her nest. I’m not sure how this is going to play out. Those eggs are so beautiful!! And that nest is super well-made. I hope she comes back. If she doesn’t, you could blow the eggs and keep them for display indoors, they are so pretty. 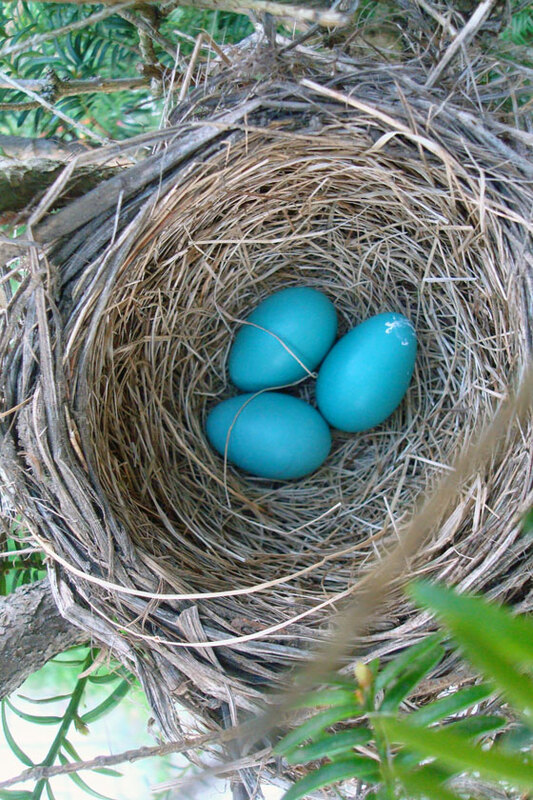 There is absolutely nothing like the colour of robin eggs.